Our product range includes a wide range of promotional wall clocks with photo frames. 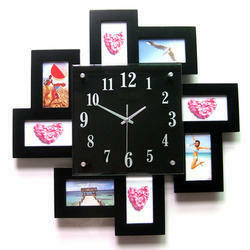 We are included in offering an extensive variety of Promotional Wall Clocks With Photo Frames. These are extremely engaging and appreciated for its fine complete and style. Owing to its in vogue appearance and more administration life these Promotional Wall Clocks With Photo Frames are broadly suggested by different amounts of customers. Owing to its superlative execution and simple upkeep, these Promotional Wall Clocks With Photo Frames are broadly prescribed by different amounts of customers. We are noteworthy name in the market offering best and world class collection of Wall Hanging Collage Clock that are smart and cost effective in rates. 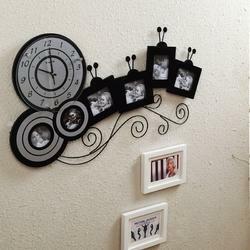 Looking for Promotional Wall Clocks With Photo Frames ?